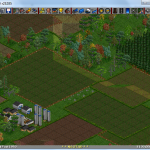 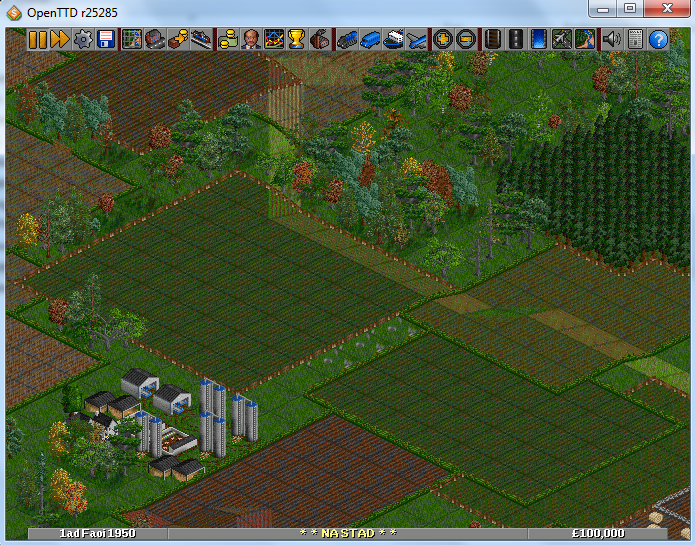 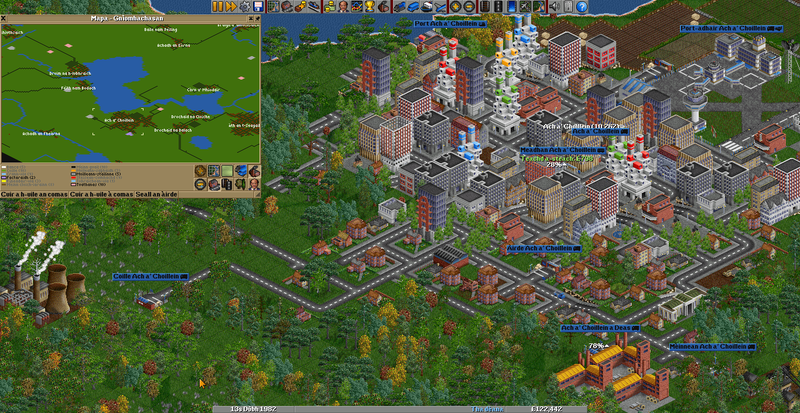 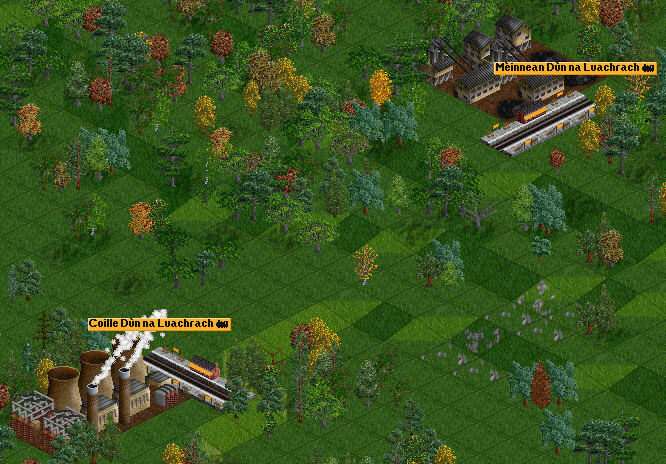 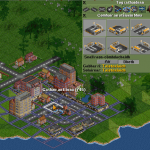 OpenTTD is a virtual world based on Transport Tycoon Deluxe. 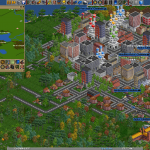 Your task is to set up a network of buses, trains, planes and ships. 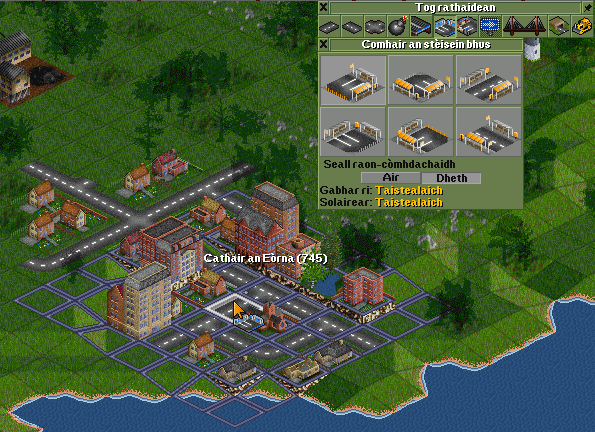 You can play it in single player mode, or against other people as a network game or online. 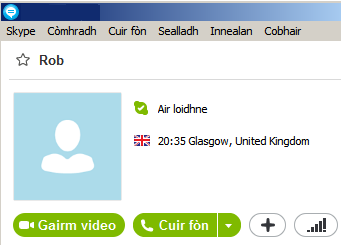 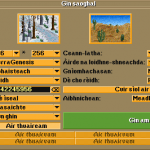 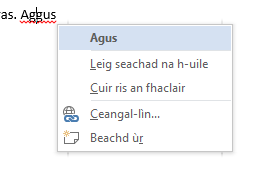 You can get detailed a game guide here (in Gaelic) and on the general project wiki.